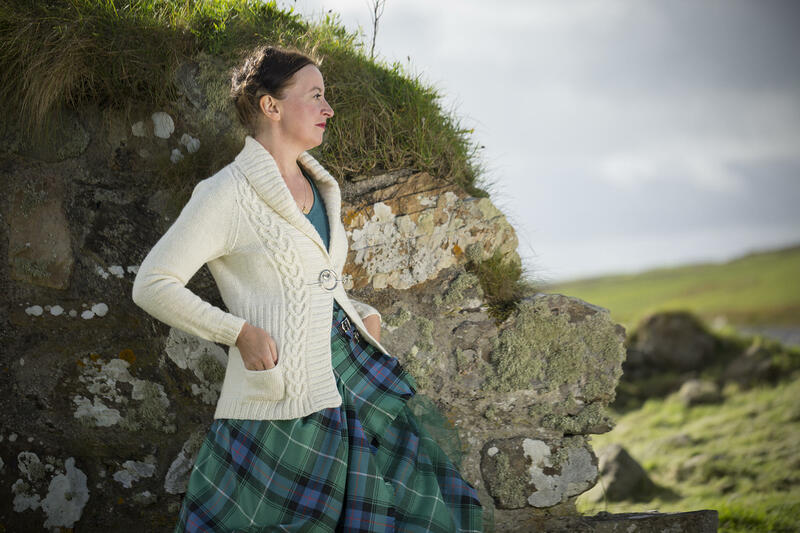 Ìle ghorm an fheòir / green grassy Islay, is a beautiful and fascinating Hebridean island, and a place with a particularly special meaning for Kate Davies. 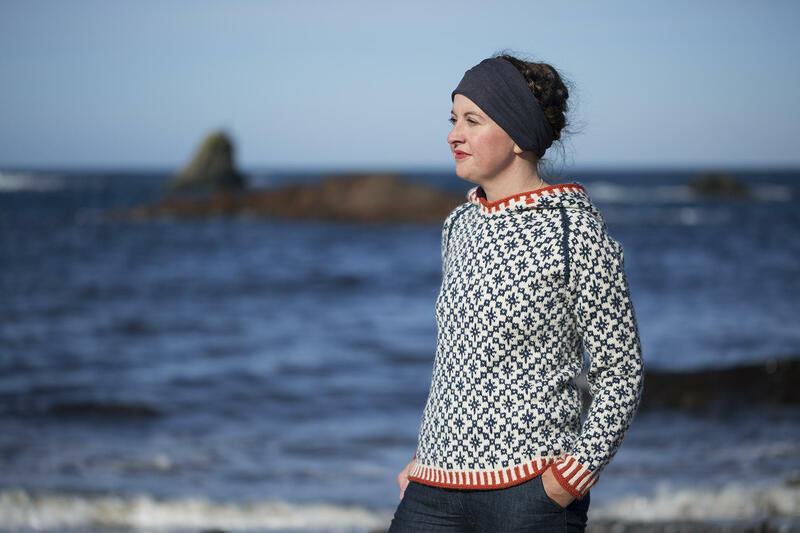 In this stunning new collection with her own Buachaille yarn, Kate takes inspiration from Islay’s landscape to create twelve new designs. 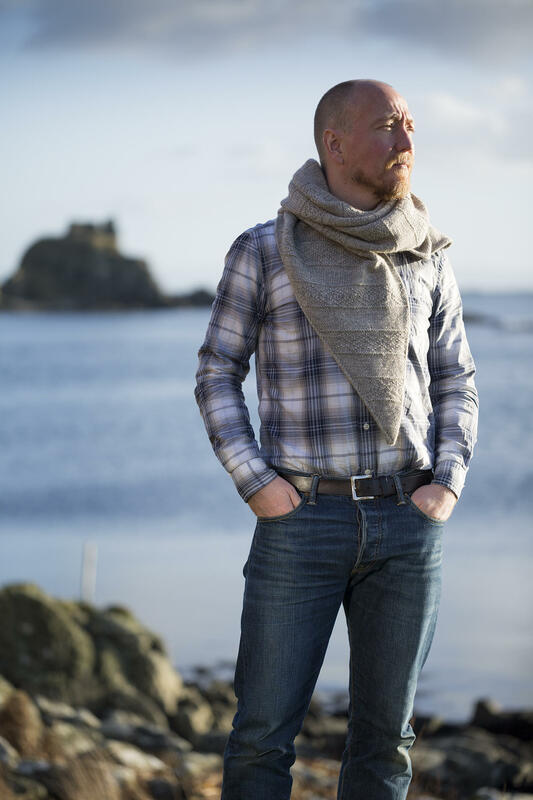 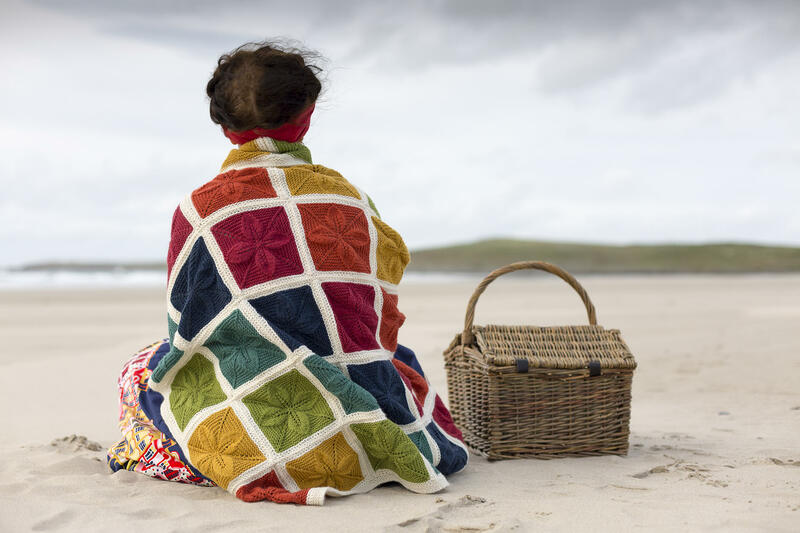 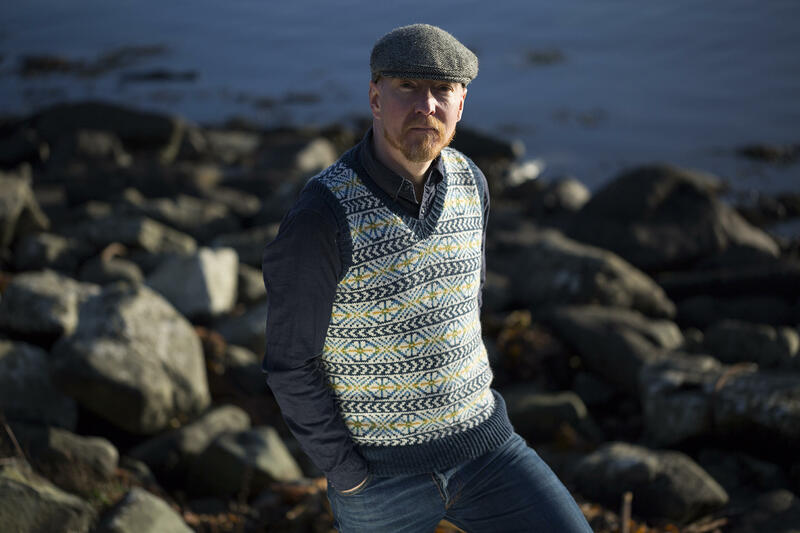 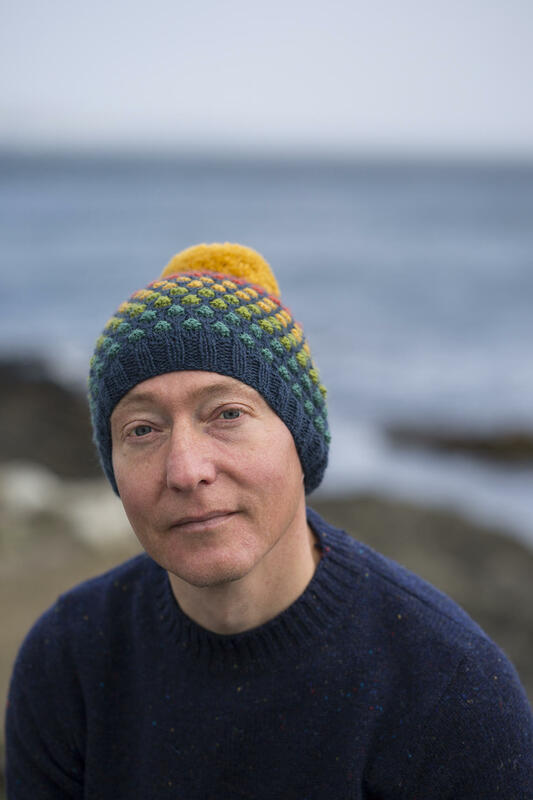 From modern haps to traditional kilt hose; from Fairisle hoodies to cabled cardigans; from a yoke pullover to a colourful modular blanket, the designs are arranged in four “stories” each of which explores a different island locale. 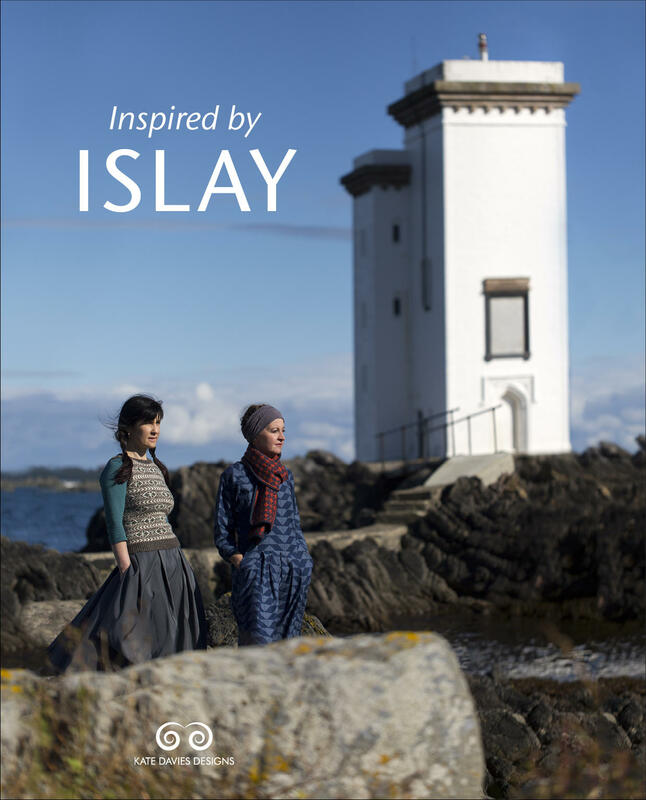 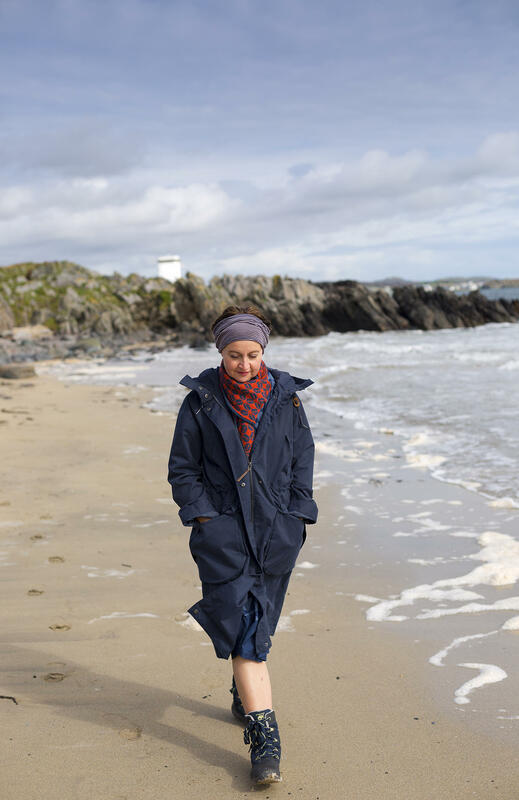 With their roots in Islay’s distinctive history and culture, Kate’s designs suggest the rich breadth and depth of inspiration the island affords, from the archaeological legacy of the Lords of the Isles to the poetry and song of the Islay bards. 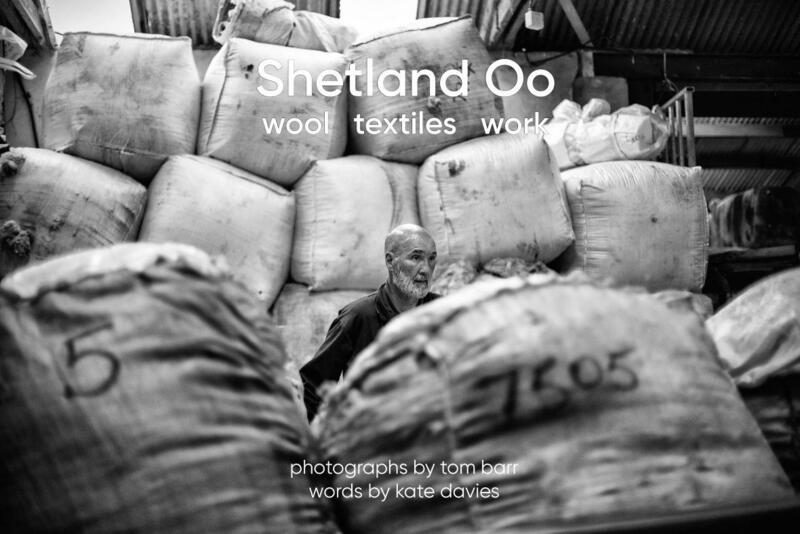 In addition to Kate’s patterns, this book brings together beautiful photography of Islay by Tom Barr with essays by four contributors who share their varied local expertise. 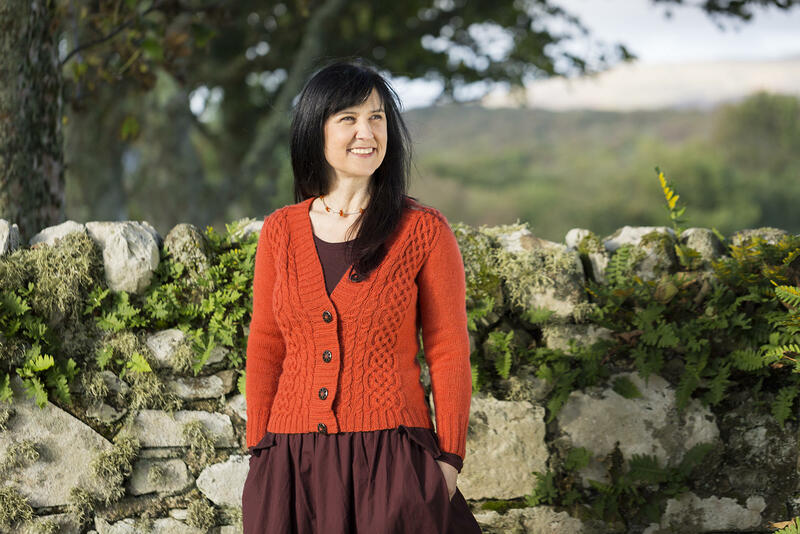 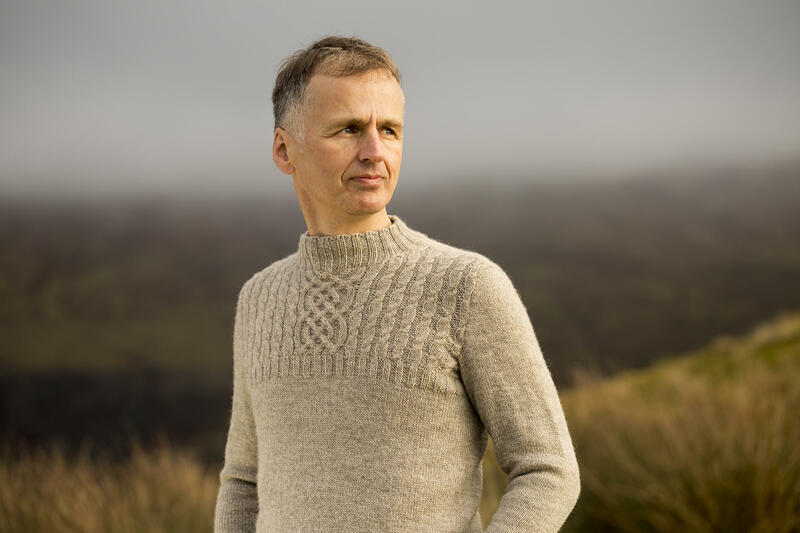 Gordon Yates introduces Islay’s wildlife, Anna MacQuarrie explores the important legacy of Gaelic in the island landscape, Jane Hunter explores Islay’s geology through the intriguing medium of tweed and stitches, while Susan Campbell tells us more about the island’s handcrafts. 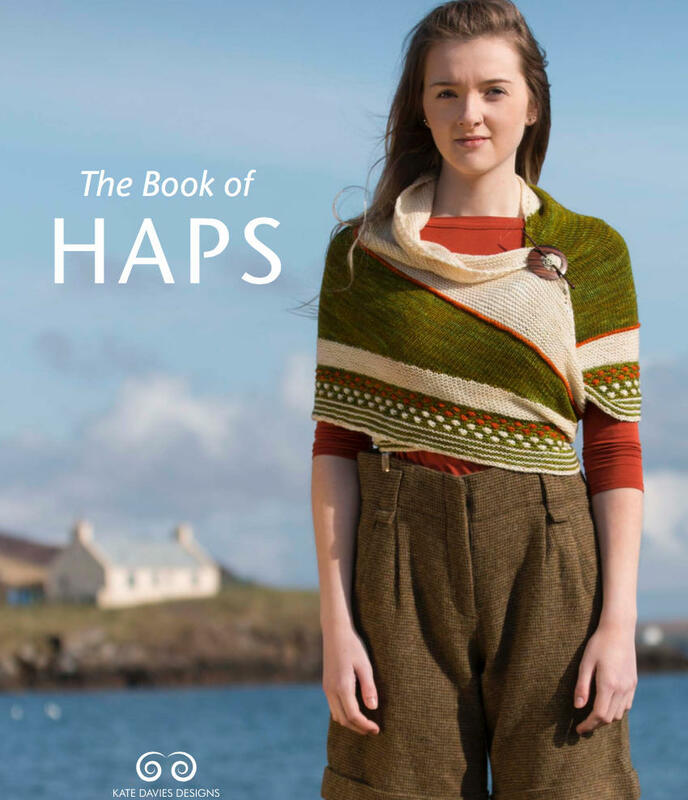 Open the pages of this beautiful book, join Kate on a journey to the Hebrides, and you too will be Inspired by Islay. 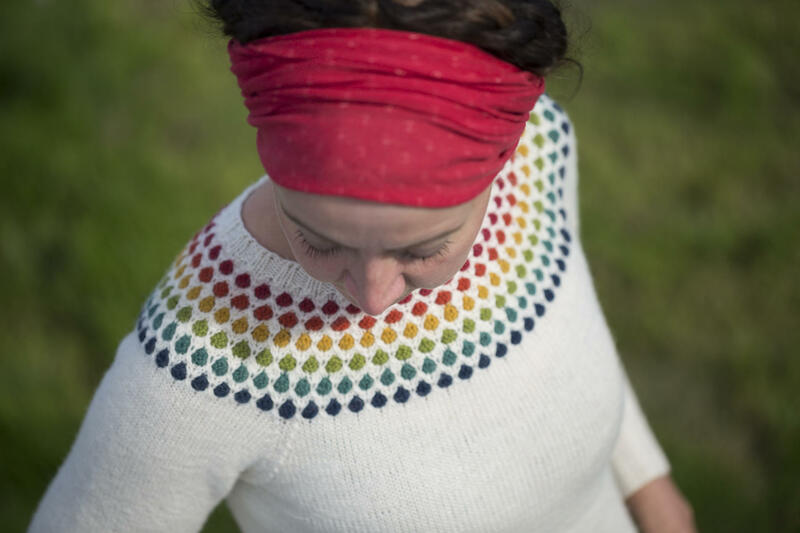 120 full colour pages. 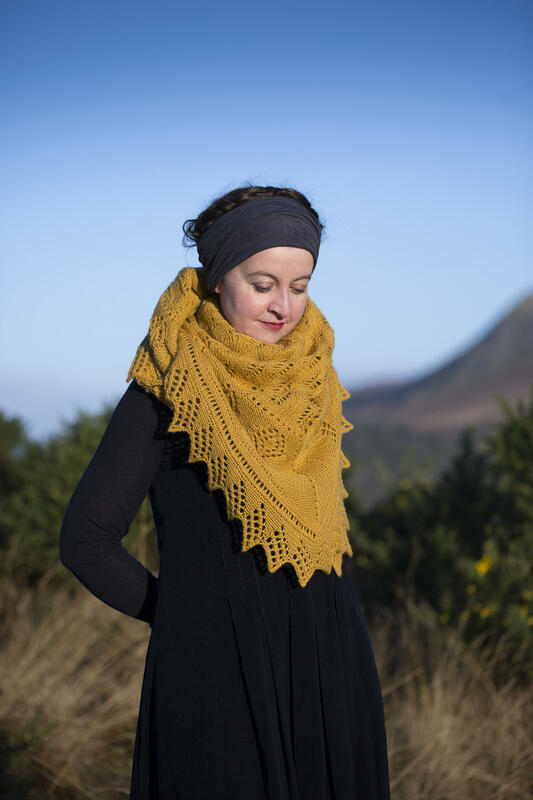 Printed by Bell & Bain in Glasgow.